The first and only recorded outbreak of Nipah virus (NV) encephalitis in India occurred in the winter of 2001, although the causative organism could only be identified 5 years down the line in 2006. The first ever-recorded outbreak of NV encephalitis occurred in the Malaysian peninsula in 1998-99; though between 2001 and 2005, at least four outbreaks occurred in our neighboring country of Bangladesh. The threat of further outbreaks of this dangerous disease looms large on the Indian subcontinent, given the natural reservoir of the definitive host, namely, fruit-eating bats of the genus Pteropus. 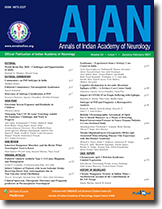 This review would briefly highlight the epidemiology, clinical aspects and diagnosis of NV encephalitis to enlighten the neurological community of the country for early detection and implementation of preventive measures in the event of further outbreaks, especially those which are generally passed of as 'mystery diseases' in the lay press and even by governmental agencies. Objective: To study the clinical profile of patients presenting with primary and secondary neurological disorders during pregnancy and puerperium. Materials and Methods: This study was carried out at the Lady Harding Medical College between February 2004 and January 2005. All patients in pregnancy, postabortal or postpartum period attending to the Lady Harding Medical College between February 2004 and January 2005 and requiring neurological consultation were included in this study. Women with eclampsia were excluded. Results: There were 76 women included in this study (incidence of neurological disorders was 584 per 100,000 deliveries), with 46 cases of primary and 30 of secondary neurological disorders. The former included epilepsy (22), CNS infections (12), cerebrovascular disorders (9) [cerebral venous thrombosis - CVT (5), arterial infarctions (3) and haemorrhage (1)], CNS glioma (1), traumatic quadriparesis (1) and acute disseminated encephalomyelitis (1). The latter included hepatic encephalopathy [HE] (28), enteric encephalopathy (1) and critical illness polyneuropathy (1). In patients of epilepsy, the seizures had an equitable distribution in the trimesters and post-partum period, were mainly of generalized type (77.27%) and were controlled in the majority (90.9%). No fetal congenital malformations were seen. 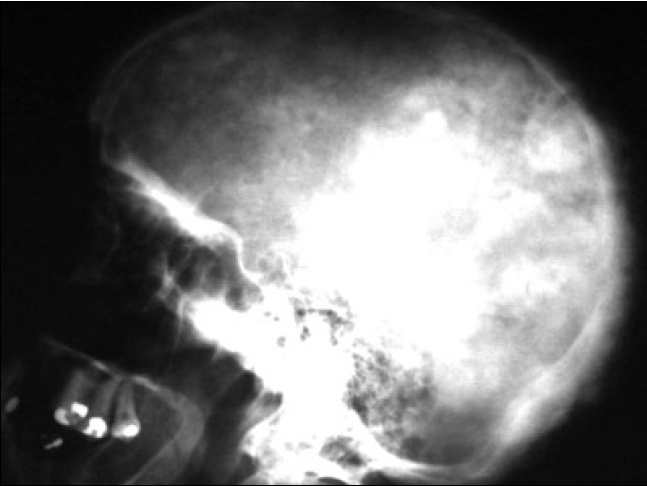 Tubercular meningitis [TBM] (7), pyogenic meningitis (4) and viral encephalitis (1) were the CNS infections encountered and pregnancy outcome was good in most cases. All cases of CVT presented in the postpartum period with fever and neurological signs following home delivery. Outcomes included recovery (2), residual deficits (1), persisting seizures (1) and death (1). HE affected patients mainly during the latter half of pregnancy or the post-partum period and was associated with 64.3% mortality. 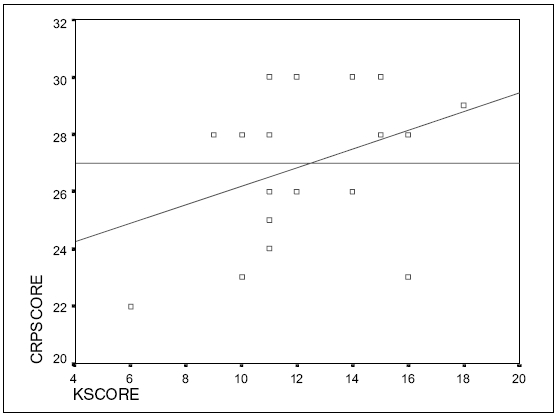 Death in HE showed correlation with grade of HE ( P =0.007); Glasgow Coma Scale ( P =0.006); Liver span ( P =0.049); bilirubin ( P =0.005) and retained foetus ( P =0.044). Conclusion: The incidence of neurological disorders in pregnancy and puerperium was fairly high. Epilepsy and hepatic encephalopathy were the commonest primary and secondary neurological disorders, respectively. Background: Epilepsy can cause additional problems in child rearing to mothers with epilepsy (MWE). We aimed to ascertain the knowledge and practice of child rearing in MWE with a pretested questionnaire and compare it with that of mothers without epilepsy (MWoE). Materials and Methods: A standard questionnaire on knowledge (20 questions) and practice (10 questions) of child rearing was prepared through literature review, consultation with subject experts and interview with patients. The questionnaire was administered to 20 MWE with infants less than one-year age and 20 MWoE (matched for age, parity and education). Results: The knowledge on safety needs of infants was significantly ( P <0.01) lower for MWE than for MWoE but the over all knowledge on child rearing was comparable for both groups (12.45 ± 2.95 for MWE and 13.1 ± 3.13 for MWoE). The mean score on child rearing practice (CRP) was significantly lower ( P <0.05) for MWE (27 ± 2.51) than for MWoE (28 ± 1.6). There were three instances of accidentally dropping the baby for the epilepsy group. There was a trend towards better CRP as the knowledge on CR increased. Apraxia of lid opening is a condition where patients do not have ptosis but have difficulty in overcoming levator palpebrae inhibition. We report a patient who presented with difficulty in opening eyelids with out diurnal variation, ptosis or blepharospasm. The diagnosis of Apraxia of lid opening is confirmed by electro physiology. The possibility of apraxia of lid opening should be considered in patients who present with difficulty in opening eyes. 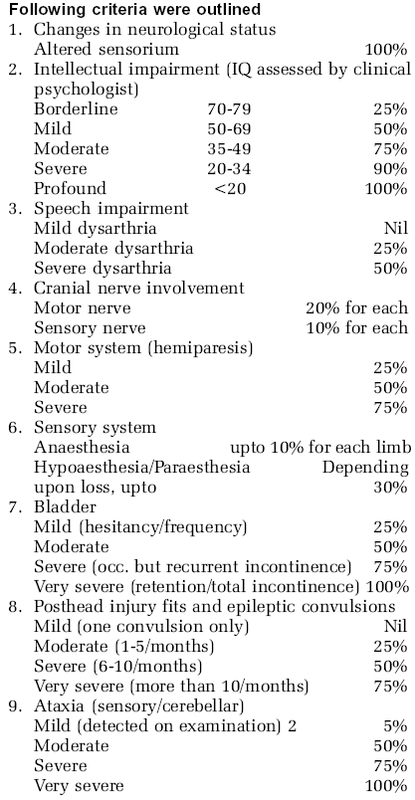 Various causes of Apraxia of lid opening are discussed. 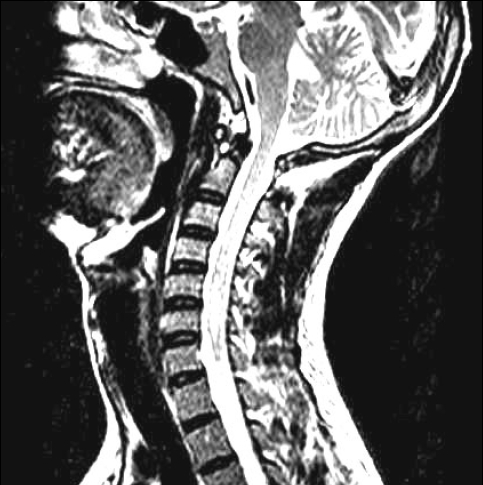 The authors report a 24-year-old man with Hansen's disease in Type 1 reaction, developing a demyelinating disorder affecting the central and peripheral nervous system. He responded well to plasma exchange and intravenous methyl prednisolone. The neural damage could have been due to cross-reacting epitopes causing molecular mimicry and resultant demyelinating disorder. Primary amyloidosis is a multi-system disease, involving renal, cardiovascular, gastrointestinal, articular and nervous systems. Peripheral neuropathy occurs in 10-35% of patients and is the presenting feature in 10% of cases. Clinical involvement of the autonomic nervous system is well recognized, although uncommon. Most patients develop features of autonomic dysfunction including postural hypotension, impotence, gastrointestinal disturbances, impaired sweating and loss of bladder control. Nearly 25% develop a superimposed carpal tunnel syndrome caused by amyloid infiltration of the flexor retinaculum at the wrist. 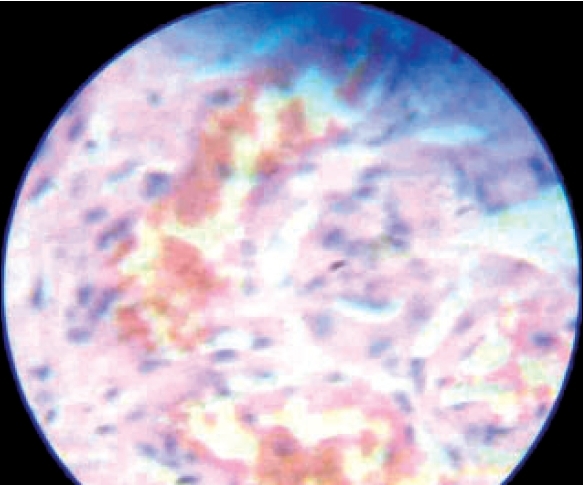 We report a case of a 53-year-old man, who presented with autonomic dysfunction, who on investigation was found to have systemic AL amyloidosis. The constellation of painful dysesthesia, autonomic dysfunction and a history of carpal tunnel syndrome should alert the physician of the possibility of amyloidosis. 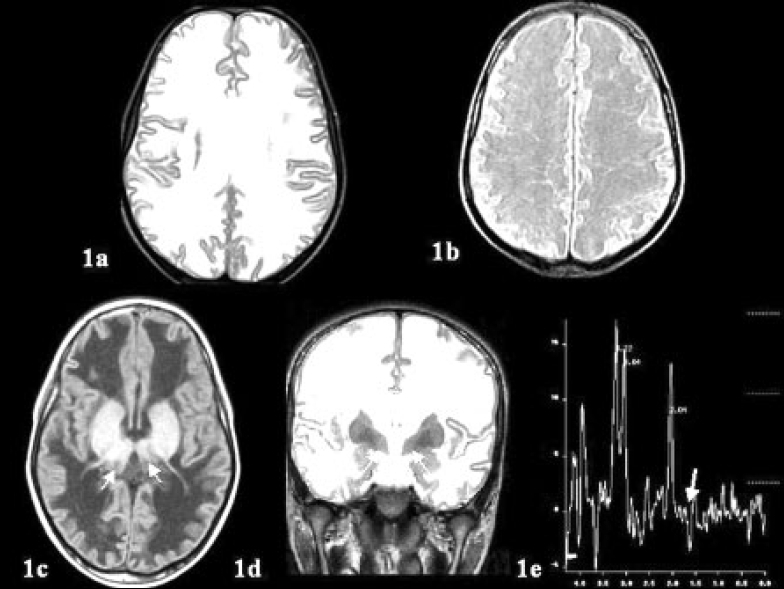 We report MR imaging features of vanishing white matter disease in a 7-year-old boy, who manifested with seizures, aphasia, spastic quadriparesis and myoclonic jerks. MRI of brain showed diffuse white matter signal changes of CSF intensity in all the sequences. MR spectroscopy of white matter showed severe decrease in NAA, choline and creatine and presence of lactate peak. 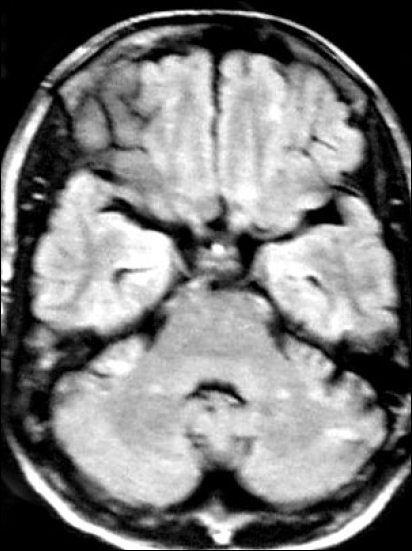 Additional notable findings were diffuse extensive brain stem and thalamic atrophy. The clinico-radiological correlation was consistent with the diagnosis of vanishing white matter disease. Reporting of such cases may widen the spectra of these disorders. An algorithm for an electrophysiological approach to carpal tunnel syndrome is proposed. This technical note takes into account the standard tests, comparison tests and needle electromyography. If the standard tests are negative, a comparison study can be done to identify cases of minimal or very mild carpal tunnel syndrome (CTS). If comparison studies are negative, CTS can be ruled out and a search for other causes have to be made. If the standard tests are positive, carpal tunnel syndrome can be divided into extreme, severe,moderate and mild cases. Motor comparison study is useful in extreme CTS cases. 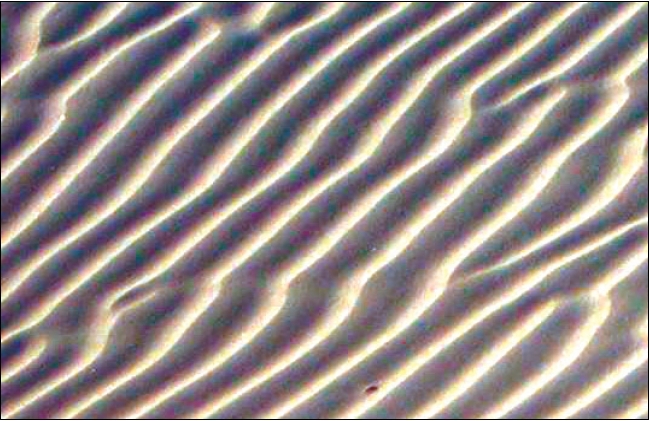 Needle electromyography is a must in all cases where the standard tests are positive. This streamlined approach allows accurate diagnosis with minimum essential tests.